Team Training at Skydive Hib! Skydiving team training at Hibaldstow this year. 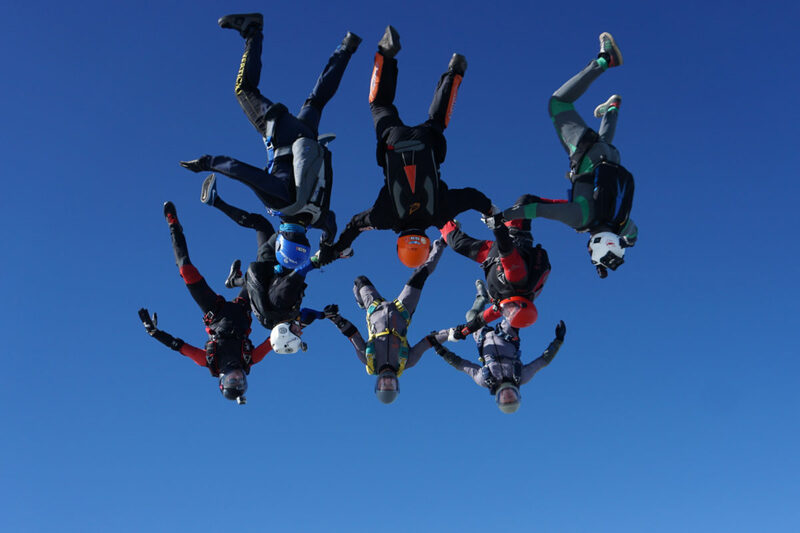 We welcome all skydivers to train at Skydive Hibaldstow this year. 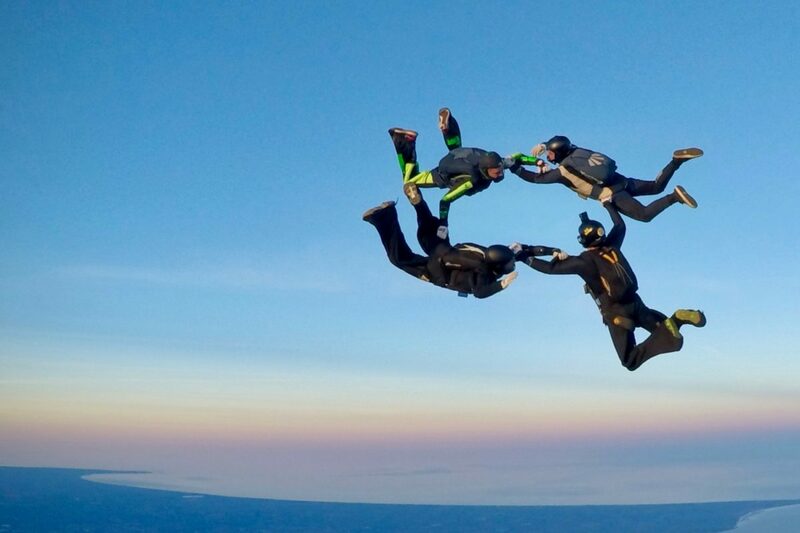 Prepare for your competitions at the location of the UK Skydiving Nationals. Step up your game by taking advantage of our low team training rates, huge facilities, our range of fast aircraft and efficient manifest. Skydiving team training for the UK! The team rate of £171 includes camera. 1 Team Jump is required as a deposit. This is used as a first jump credit. If the weather is bad the deposit will roll over. There is no requirement, if the forecast is bad, for you to be at the drop zone. We will decide this. All teams must register with us with their training plan for the season. Teams that turn up, without booking or registering are charged £23 per slot or £21.90 if you bulk buy. Teams will be given an exit altitude of not below 13,500ft. If 15,000ft is required then a £21.99 rate ticket will apply. The team rate of £92 includes camera. Teams without camera still receive the same rate. Teams will be given an exit altitude of between 10,500ft and 13,000ft. If 15,000ft is required then a £21.90 rate ticket will apply.